Front doors often mirror the curb appeal of our homes– so why let them become scratched, cracked or just plain dirty? Replacing your door window and frame is easier than ever. Forget the time and money it takes to hire someone. Follow these simple instructions to create a striking entry door for your home today! The glass that you want to replace is likely to be held in place by a wood frame, also known as a wood stop. You won’t be able to see the nails holding it together. Instead, you’ll find nails holding the stops in place on one side of the door and the other side of the door will be connected to the frame. Choose the side of the door where you can see the nails. Take your metal putty knife and remove the caulk that’s holding the stops in place. Once caulk is removed, grab your putty knife once more and gently pry the four stops away from the door. From there, remove the stops so the nails will be visible. Eject the nails and set the stops aside so they can be reused. Carefully remove the old window and dispose it. First, you must measure your frame for the correct size window. Grab your measuring tape and count the width and height of the frame past the wood paneling. Subtract one-eighth of an inch from your width and height– this creates easier installation and allows the glass to expand and extract, giving it some wiggle room. Now that you have the correct sized window, apply glazing compound to the inside of your frame using a caulk gun. Put the new door window into the frame’s caulk outline. Next, reinstall the wooden stops one at a time by fastening them with a small finish nail. Your new door window and frame is now ready to give your home that desirous curb appeal! Don’t waste time and money on your front door window and frame replacement when you can do it yourself. 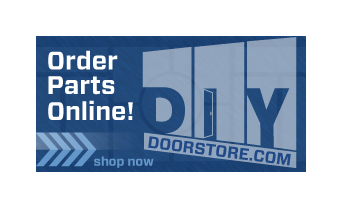 The DIY Door Store has all the tools and instructions needed to fix any broken door! 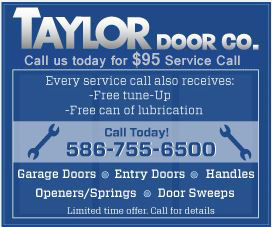 For more information on entry door how-tos and repair supplies, call the DIY Door Store at 888-998-3667. Or shop online for door window and frame replacement tools today. Next post: What Does Your Front Door Say About You?